Gazprom International, a subsidiary of Russian oil and gas giant Gazprom, plans to increase its presence in South America. 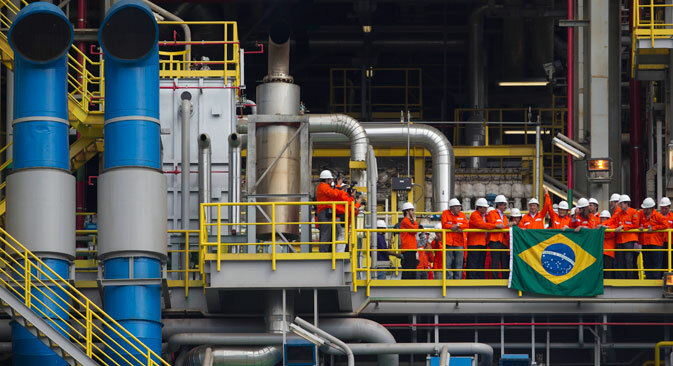 The company is in negotiations to purchase a stake in Brazil’s offshore oilfields, and within a year it plans to start production at gas fields in Bolivia. “Widening cooperation between Russia and the BRICS countries amid increasing sanctions is a logical, sequential process. Up until the Ukrainian crisis and the ensuing policy of confrontation by Western countries, Russia had given preference to Western companies over the BRICS [the term used for the group of countries comprising Brazil, Russia, India, China and South Africa – RBTH],” Kapitonov said.